The Alcohol Beverage Control board of New Orleans voted Tuesday afternoon to revoke the liquor license from Avery’s Place on Willow Street in west Carrollton, saying that the establishment’s namesake is actually an owner and a convicted felon and thus not allowed to operate a bar. Karen Robinson took over the bar at 8838 Willow Street in July of last year, and formally bought the business from previous owner Ira Sandifer in November, she told the Alcohol Beverage Control board in a Tuesday afternoon hearing. 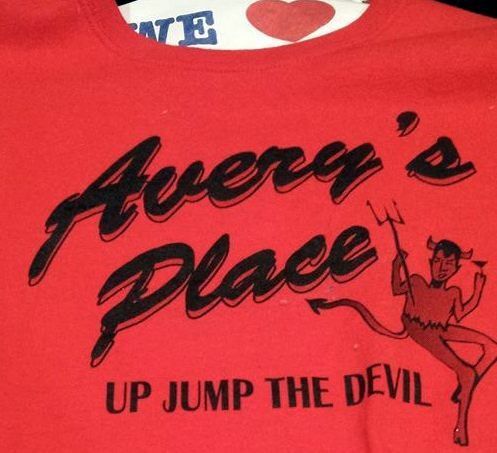 She then named it “Avery’s Place,” after her long-time fiance Avery Manuel, who lives with her in Harvey and helps out around the bar in addition to his own day job, she said. At a previous appearance before the alcohol board, however, Manuel said that he was an owner of the bar. Based on that, agents with the state Office of Alcohol and Tobacco Control and the Louisiana State Police began investigating the ownership of the establishment, according to testimony under questioning by assistant city attorney Dan Macnamara. The agents found that while Manuel’s name was not listed on the registration documents with the state, his name was on the bank account associated with the bar. Further, Manuel represents himself publicly as Robinson’s husband, and state law regarding alcohol permits says that when a couple holds themselves as married, they should be treated as married in decisions about the permit. The investigators also found that Manuel spent 10 years in prison from 2000 to 2010 on a conviction of possession of heroin and possession of a firearm by a convicted felon, and that he had a previous aggravated battery conviction. The violent crime conviction prevents Manuel from ever acquiring a state alcohol permit, Macnamara concluded. Based on the fact that Manuel previously told the board he was an owner of the bar, Avery’s Place should not have a liquor license, said Commissioner Robert Jenkins. His motion to revoke the license quickly passed, 7-0. The hearing drew no comments from the public in opposition to the bar, although Enrico Sterling of City Councilwoman Susan Guidry’s office said that the nearby residents who have complained to him said they were afraid to speak against it publicly. A handful of supporters of Avery’s Place did show up, however. One woman criticized the people complaining about the bar as recent arrivals to the neighborhood who moved in next to a bar. Robinson, by contrast, has invested in the Carrollton neighborhood with the bar, the woman said. One other pending issue before the alcohol board, charges against The Palms bar in the university area, were postponed until May. To read our live coverage of the meeting, see below. I am the woman cited as criticizing the neighbors with the complaints. I assure you that my comments were not intended as such. I am highly critical of the manner in which this process played out. The original complaint had to do with the bar being a nuisance. The establishment was accused of promoting loitering and excessive noise. As a patron and member of the community, I knew better. And, clearly the municipal court judge that heard the matter established as much. So when that failed the attempts to tarnish the reputation of the owner and her companion seemed to go into high gear. I was by no means prepared for what played out and a scene that what was reminiscent of a match between David and Goliath. I do believe after witnessing today’s hearing that we may be in the midst of efforts to gentrify the Pension/Pigeon Town Community one small business and residence at a time. I am open to change. However, any change that does not benefit the whole and only is supported by a few, will not go unchallenged. As a family with both commercial and residential real estate in the area of the bar, the acknowledgement of their being “hell to pay” refers to the intentions demand my peers in this community be far more responsive and present at the hearings and in the decision making. I noted that City Assessor’s office shows that the year ownership (for the individuals with the grievance(s) originally reported) was at the earliest 2004 and as recent as 2014. While the current management was not in place, the spot has always been a bar. If in fact you did not intend to live next to a bar, the best choice have been to select property that was not adjacent to a bar. If by chance this was a school and it operated as bar it would be a problem. If this was a church and it operated as a bar, it would be a bigger problem. But it is a bar. It has been a bar…well before 2004. Certainly, that by no means gives a business owner the right to be disrespectful of the neighbors. And, in this case that was proven in court.